Get to 2019 PUMA Night Run official website and click in “Registration Info,”or searching for “PUMA Consumer Registration”page. Log in 2019 PUMA Night Run official website with your certification code and finish the registration process. Finish the registration process before deadline. The certification code is only for registration qualification, the participants have to buy further registration fee. Each certification code is limited for one person, he/she can choose either station(TPE/KAO) and group(21K Elite Run, 10K Glow Run, 5K Love Run. Please be sure to read the related information of registration, if you are unable to accept please do not register. 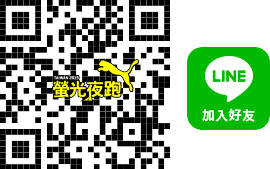 PUMA Taiwan has the right to correct, pause and stop the usage of this activity.